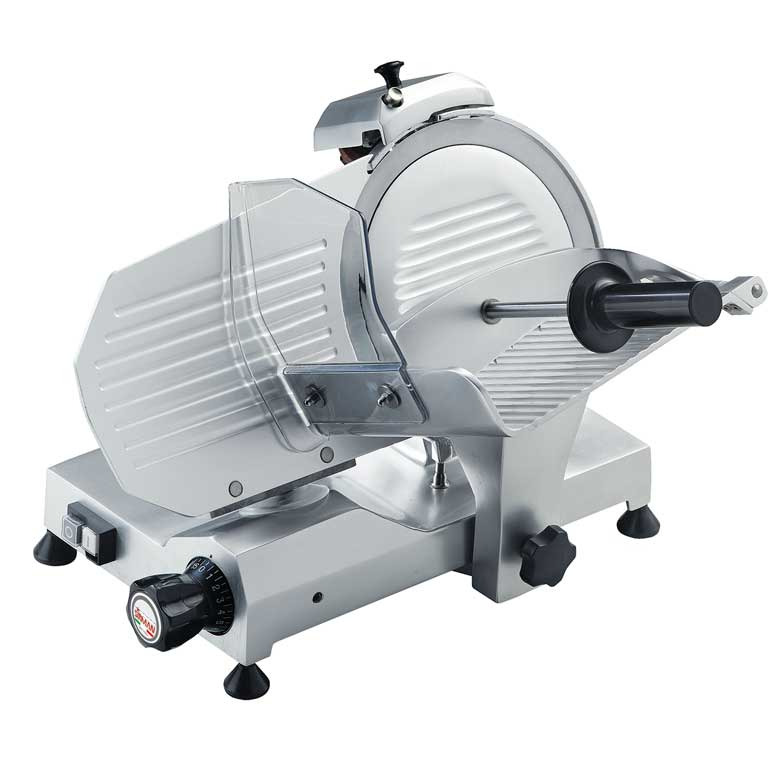 The slicing machine is made of anodized cast aluminum alloy, spaced between the blade and the engine for easy cleaning with ventilation motor, forged, hardened high-thickness blades, stainless steel screws and slice distributor. Teflon coated versions or toothed blades are available on request. 25 ° blade tilt.